WordPress is easily a very popular blogging online platform. Knowing how to operate the software properly makes running a blog easier and more effective. Follow these simple suggestions on while using the platform to take full advantage of your blogging experience. There was an exploit discovered just this month that allows remote code to execute on the popular content management system (CMS). A popular file download plugin could be used by a hacker to execute code on your site. If you are running WP Download Manager 2.7.4 or lower, you should upgrade right away. 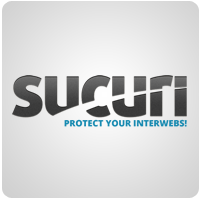 Sucuri discovered the issue and the plugin developers but a new version out to protect against hackers gaining access to your admin accounts. 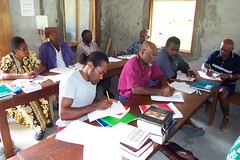 Many Internet users rely on WordPress as the platform for getting their written work on the Internet. One concern that all users face is how to make wordpress run faster to enhance the user's experience. Improving your websites performance does not have to cost a lot of time and money when you use jsdelivr. MaxCDN sponsors jsdelivr and is a free CDN service for webmasters and developers to link their plugin files to save bandwidth and improve website performance. It also gives users the ability to route the programs that use the plugins to the links destination, making the websites load faster. Increasing your websites loading time will help to make it user friendly, and in turn will be search engine friendly too. I have read many articles lately indicating Google will start penalizing sites containing spun articles. In 2013, you will have to alter every word in an article to spin the content. If I have to spin each word manually, I might as well create an entirely new article. Readers can easily identify poorly spun content and I believe the experts working for Google will have no trouble writing a program capable of doing the same thing. If you want to have the search indexes of all the major search engines rank the images of your website, you need to create an image sitemap. In order to get the search engines to do this, the image sitemap feed is the most important step. These sitemaps are created to compel search engines like Google, Yahoo and Bing to provide the results of your choice. For instance, Image Sitemaps allow Google to understand the metadata regarding the image content on your particular website. The creation of an image sitemap involves a Wordpress plugin or custom code for your content management system. In order to start, you just install the plugin or the custom code which creates a file following the standard image sitemap xml format. A PHP advance sitemap is very useful for increasing traffic to your site, and improving search engine rankings of a WordPress blog. You can enable your visitors to navigate your site easily, by making an efficient sitemap of your blog posts. However, keep in mind that we are not talking about a "Google Sitemap" here. With the world turning more and more to the internet for things these days, it has become increasingly apparent to many business owners that there is no way to compete in today’s market without creating a strong online presence for yourself. Every company should have a website that is engaging and aesthetically pleasing in order to attract more customers from a wider set of backgrounds. Advertising through word of mouth and some forms of media have become primitive in the face of the online search engine. Nowadays, if someone wants something, all they have to do is search for it. That’s why it is so important to have a great website with lots of content. If you intend on making money and creating a name for your company, you have to create a strong online profile, and much of that involves having a great website. 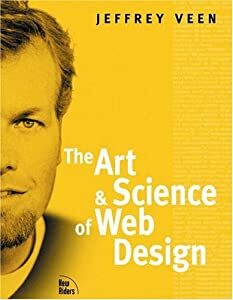 But unless you are schooled in the art and science of web design, you will find it very difficult to create the kind of website that you need in order to get people to visit it. For this reason, it might be wise to hire a good web designer. If you are looking for a good web designer to help create a great website for your company, then here are a few things that you should pay attention to as you start your search.